Microsoft lost the smartphone war to Apple and Google. The company failed to see the potential of expensive but smart phones during the early years. When the iPhone was released, CEO of Microsoft, then Steve Ballmer, said that it was an expensive phone which doesn’t even feature a full sized keyboard. He also made remarks that no one would be willing to buy the iPhone as it lacked the things which almost all the phones had back then. However, earlier this year, Steve Ballmer said during an interview that he regrets not understanding the potential of the iPhone and also that he made bad bets on the phone business. Leaving all that behind, the company now run by Satya Nadella is moving forward – the NOKIA business has been scrapped, no updates to the Lumia and there have been rumors in the past that the company is indeed in the process of releasing a new phone with a new brand. 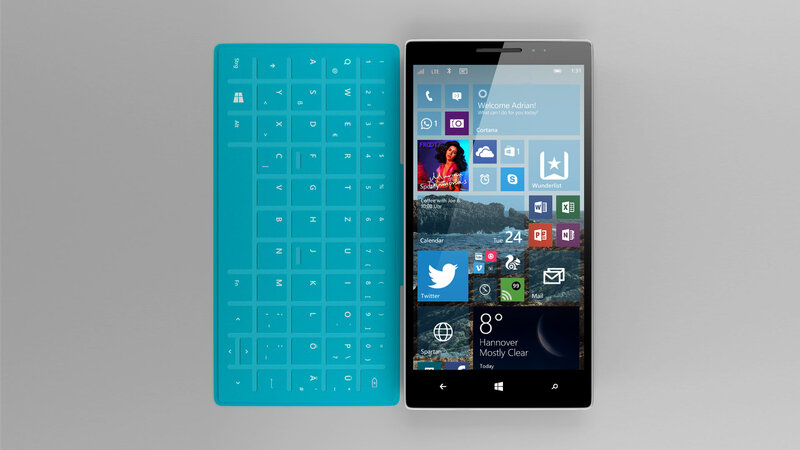 The branding will be “Surface”, according to the rumours and it’s pretty obvious. It’s new for Microsoft’s smartphone line but not the laptop, tablet and desktop categories. The addition of a phone completes the company’s product line. Microsoft might release a truly great phone but the question is how will they get apps on board the Windows Mobile OS.